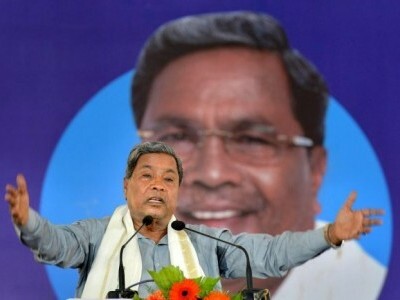 Hassan: Predicting about the entry of national politics by his son HD Kumaraswamy, the JD(S) supremo HD Devegowda on Monday said that the former will enter the national politics after completing the full term of five years as the Chief Minister of the coalition government in the state. 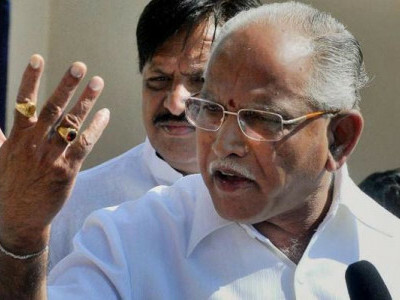 Speaking to the reporters here Gowda said that the opposition BJP Leaders including Prime minister Narendra Modi allegedly hatched a conspiracy to destabilize the coalition government before Parliamentary elections in the state. 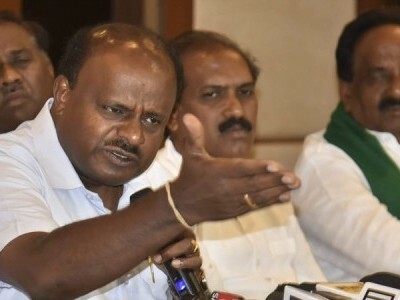 Deve Gowda said that the BJP leaders were allegedly targeting Kumaraswamy purposely for political gains and were against the latter's development works. "The coalition government is safe as the leaders in congress and the JD(S) are supporting each other for development works. 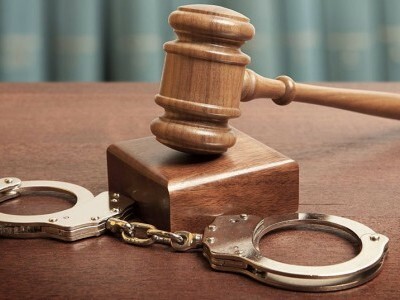 No one could destabilize the government which completes full term of five years." 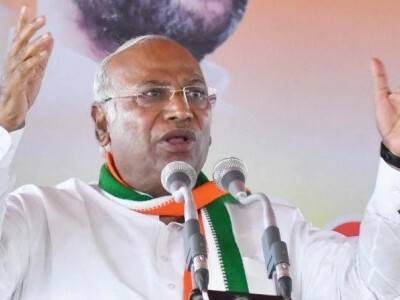 Reiterating that he will not contest up coming parliament elections from Hassan constituency, Deve Gowda said that his grand son Prajwal Revanna will contest Lok Sabha election from Hassan parliamentary constituency. 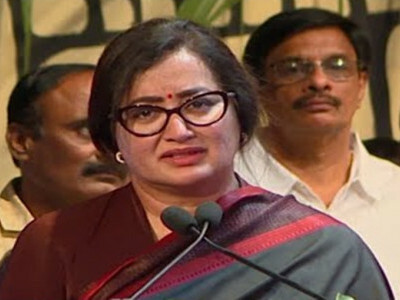 The JD(S) will fight urban local body elections alone and yet to take a decision about a possible alliance for 2019 parliamentary elections in the state.